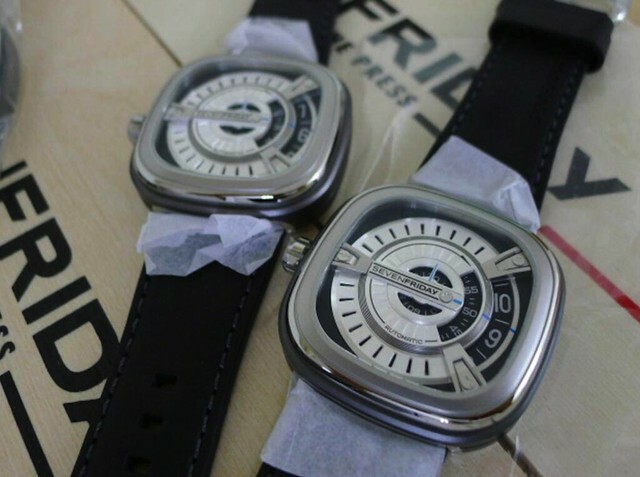 FS: SevenFriday LATEST *** M1-01 Model *** 1500 SGD VERY VERY DISCOUNTED !!! BRAND NEW. FULL INTERNATIONAL WARRANTY. BRAND NEW FULL SET COMPLETE BOX PAPERS. Stainless steel 47mm case on black leather strap. This watch features discs to read the time, the outer ring for hours, middle ring for minutes and the inner ring for the seconds. Automatic movement.30M water resistant. The watch comes in its box, packing and its SevenFriday international warranty period of 24 months from the date of YOUR purchase. Contact email us : tonyandethan888@gmail.com. No PM. Face to face deal in Singapore only. All times are GMT8. This page was generated at 08:43 AM.